Are you training for your first race, or wondering how you can vamp up your success for the mother of all races, the Ironman? Whether you want to go the distance in a 5k or a 10k (or more! ), it’s all in your approach. And when it comes to racing with success, no tool can be more imperative to understand and follow, then the walk/run method. 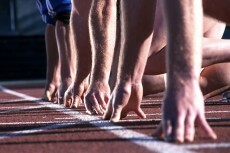 Participating in a race is the ultimate test of endurance, will power and determination. Let’s face it – plenty of people start a race with gusto, but how many make it across the finish line in an adequate amount of time? Have you experienced running a race, but realize half way through that you didn’t properly prepare for it? Running a race successfully is all about you – how much motivation, focus and clear headed vision you have to push through the rough spots, ease into a nice finish and feel more empowered about yourself than you ever dreamed you could feel. 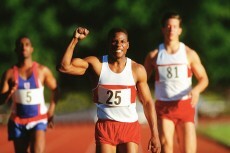 If your body is a powerhouse, then accomplishing a successful race is your foundation. Push through your training and become a speedy running machine in an effort to boost your confidence, or simply to help out a good cause that you’re passionate about. 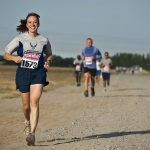 Whether you want to run faster but an incorrect posture is preventing you from setting a new record, or you aren’t good at running in the first place, this mini-guide has all you need to know to walk, run, sprint and glide your way to marathon success! Your best marathon run is just around the corner, and when you apply these tips to each run you endure, it will feel like second nature. A perfect posture can allow you to achieve a perfect race record. Make sure that your head isn’t looking down or up towards the sky, but in perfect alignment with what is straight ahead of you. If you don’t, you’re likely to strain your back, shoulder and neck muscles. Push off with each stride with your ankles and heels leading the way. Focus on your arms, as if you’re carrying a small bag in each. Allow them to be relaxed, but swinging in controlled motions alongside you. 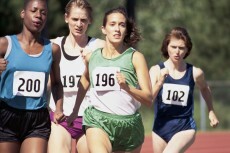 When you begin to run, start off at a moderate pace – controlled, at ease, and relaxed. Walk if you need to, or even more importantly, walk every ten minutes or so during a long and challenging race to keep your endurance up. When you combine intervals of walking and running (especially if this is your first race) you’ll set the tone for crossing the finish line, and give yourself something to be proud of. Your goal isn’t to be the fastest runner for just the first couple of miles (and then quickly die out as the last one to finish the race), but someone who can increase in endurance with each mile you meet. The early bird gets the worm? When it comes to racing successfully, start off slow so you can get the “worm”, the great accomplishment of easing into a race with gusto, and finishing it off with energy to spare. Running is a physical movement, of course. But what it signifies is so much more. It’s one of the biggest achievements you can take on. It’s an expression of your strength and will power, and most of all, it sets you apart from the pack. Run with all your heart. Walk to ease the pain of an exasperated breath. Then, run again, and run with all your might until you cross the finish line and achieve what so many others have not. 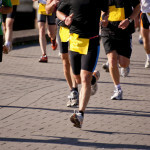 Enjoy getting fit as you prepare for your race, and breeze through it with flying colors. You’re energetic and powerful, which is just what you need to succeed, from a mini-marathon 5k race to the Ironman.